It’s that time of year again when many of us try to take a step back and think about what we’ve learned over the course of the past year, and even try to predict what lies ahead. 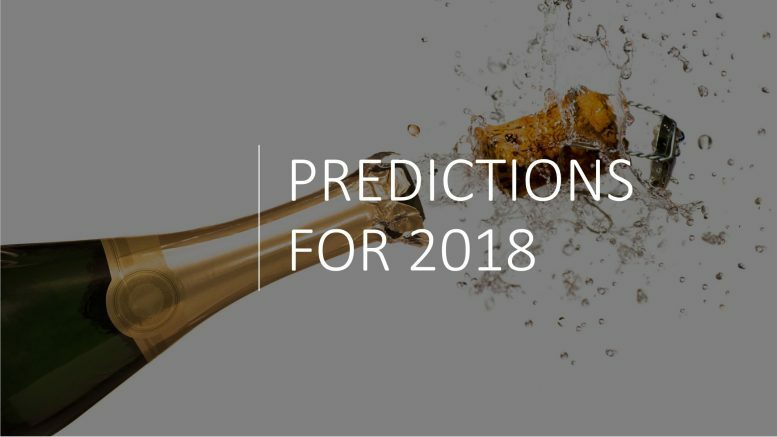 Each year Bob Lederer in his Research Business Report, and Lenny Murphy in The Greenbook Blog feature predictions from dozens of research industry CEO’s. The gap between what I’ll call ‘Just Traditional Research’ and more flexible, fluid and advanced ‘Advanced Analytics Generalists’ will continue to grow. There are three groups of marketing researchers along this dimension. Some ‘Just Traditional’ researchers and companies will not be able to adapt and will want to continue doing just the focus groups or panel surveys they have been doing and will become increasingly out of touch. A second group will feign expertise in these not so new areas of data and text mining (Advanced Analytics), they will prefer to call it “AI and Machine Learning” of course, but without any meaningful change to their products, services or analysis. It will be a sales and marketing treatment only. For both two groups the future is dim indeed. A third group of researchers, the group OdinText is invested in, don’t get better because they realize they must get better, but because they are genuinely curious. They don’t just want to run that survey a little faster and a little cheaper, they want more than that. They want to add real value for their company via their analysis. They will invest in learning new tools and techniques, and yet will not expect these tools to magically do the work for them after they push a button. These are not lazy employees, they are A type professionals, and they are the future of what marketing research is to become. They realize their own ingenuity and sweat need to be coupled with the new technology to achieve a competitive advantage and surpass expectations and their competition. And they are excited by those prospects. I too am very excited about meeting and working with more of these true ‘Advanced Analytics Generalists and the MR Supplier firms who realize Co-Opetition with other firms with key strengths make sense. For these ‘New Data Scientists’, no these ‘Next Gen Market Researchers’ 2018 will be the best of times! I’m curious if you agree or disagree, and what your personal observations for this past year were (something we sadly don’t talk enough about), and if you are able too make some predictions about what we might expect to see in 2018 and beyond. If you subscribe to RFL Communications Business Report you’ll be receiving the annual writeup on this topic there, you can check out the Greenbook version from 36 CEO’s online here. While you can tell all those participating takes this with various degrees of seriousness, and answer with different Point of Views, I believe that reading all of them, and deciding what patterns if any are detectable across them is well worth the 30 minutes or so it takes to do this. Again, very much appreciate YOUR thoughts and predictions as well, so please feel free to comment. Greenbook IIEX Shop Talk: TA ext Analytics in Market Research chat with the Industry’s Top Pundit!